Have you ever heard or seen the terms big data, business intelligence and Power BI being mentioned in analyst’s reports and financial newspapers? These days these terms are popping up frequently in diverse sectors such as the health information system industry, the geographical information systems industry and the financial informatics industries. Big data refers to large quantities of data, if one thinks of this in Excel terms one has to conceptualize spreadsheets containing thousands, if not millions of rows of data. Business intelligence refers to strategies, analytics, technologies, data mining and a host of other technological processes that allow one to collate and organize huge data sets and draw meaningful insights from these datasets. Many industries and companies are generating huge amounts of data, so management of this data and drawing insights involves utilizing business intelligence techniques on a day-to-day basis. In fact, business intelligence related activities are becoming fairly commonplace in certain industries. Advanced dashboards and reports based on the back end data – are the end results of utilizing business intelligence technologies. Microsoft has provided Power BI as an analytics service for database administrators and analysts and introduced business intelligence functionality through the PowerPivot add-in for Excel in Excel 2010. Subsequent versions of Excel have PowerPivot fully incorporated and integrated. PowerPivot brings the relational database environment to Excel, as well as the ability to manage millions of rows of data. PowerPivot can combine data from multiple sources, and allows this data to be joined and analyzed in the Excel environment. In addition, one can use special DAX (Data Analysis Expression) formulas to manipulate the data, group the data and create customized calculated fields. These DAX formulas, are literally at times working on millions of rows of data, and in seconds one can get a meaningful result delivered. Once one has manipulated the data in the PowerPivot interface, one can then present it in dashboards or Pivot Table reports. So, do you want to start getting into Business Intelligence and experimenting with big datasets, DAX and PowerPivot and seeing how at a click of a button, you can in an instant group or organize millions of rows of data? 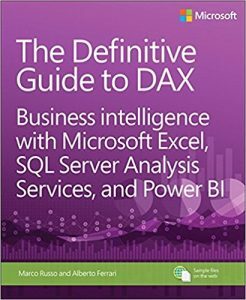 Well look no further, we at ExcelDemy have put together a list of books that go over business intelligence, Power BI, and PowerPivot extensively. In no time at all, you’ll feel comfortable tackling huge datasets and not only that, be able to collate them and deliver visually appealing dashboards based on the data. So, these are the top books for learning Power BI. Do you want to suggest any book? Please put your suggestions in the comment box below.